What would make a festive photo? 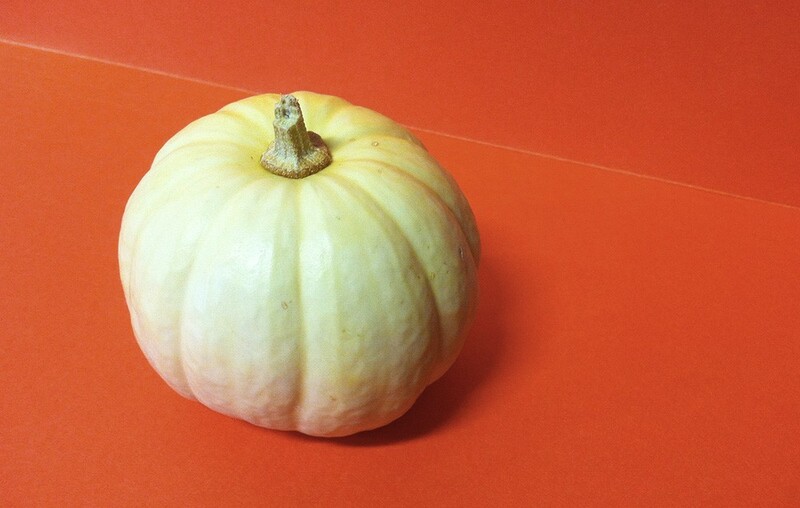 Ah, my cute little desk pumpkin. Raw juice and reggae music has hit the Spokane streets in the form of a red, yellow and green 1969 Prowler trailer. Beet It Up, the name of this mobile raw juice and smoothie bar, started up last weekend at the Barter Faire in Tonasket. But Brandi Elder and John Gardner, the Spokane locals who run the bar, plan to be in the downtown Spokane area, while occasionally traveling to music festivals and fairs. One of the bestsellers during their opening weekend was their hot chocolate with raw cacao and wild medicinal mushrooms, Elder says. Both Elder and Gardner are well versed in the juicing world. Elder has been into raw foods and juices for about 15 years and Gardner has been juicing for 17 years. The two created four raw juices for their menu. One drink, named Beet It Up, combines apple, carrot, beet and lemon. It's a more basic juice that is the most palatable for juice-drinking beginners, Elder says. The Veggie Hut mixes apple, carrot, celery, cabbage, kale and lemon and the La-Beet-O blends pineapple, pear and carrot with ginger and a squirt of beet. You can also choose from their organic fruits, roots and veggies to build your own juice or you can order organic tea and fair-trade coffee. Eventually, Elder says they'll serve seasonal raw salads. Keep an eye on Beet It Up's Facebook page to find out where they park. "We'll be bumping reggae music," Elder says. "John does African drumming and you're welcome to bring your drum." This week’s Entree newsletter has news about the soon-to-open Boiler Room and Our Thai House, as well as Revel 77’s big birthday bash. This week’s issue has an update on Ferrante’s Marketplace Cafe and a story about the Service Station. Kyla Goff, co-owner of the Tailgater Sports Bar near the Spokane Arena, was convicted in San Diego on fraud and embezzling charges and will be sentenced next week. The popular sports bar had reportedly been having some troubles recently and KXLY reported that the Tailgater is now closed with a For Lease sign out front. We’re looking into it. Alberta Bake Shop in the Shadle Park neighborhood passed final inspections and is planning to open next Tuesday at 9 am. The long-awaited Buffalo Wild Wings in the Valley officially opened last Monday. Chairs Public House in the Logan neighborhood, an offshoot of the popular coffee shop, is now aiming for a mid-November opening. In beer news, No-Li put its beer in 12-oz. for the first time ever this week. They’re selling 4-packs of the Wrecking Ball Imperial Stout and Jet Star Imperial IPA. Orlison continues its push to expand-and-rebrand with a nice new website featuring its brand-new cans. Spokane’s burgeoning beer scene is getting national attention in Draft Magazine’s upcoming issue, KREM reports. Mad Bomber Brewing Company is hosting their grand opening tomorrow, Nov. 1. The new taproom for River City Brewing is getting close enough that they’re hiring. BiPlane Brewing Company has been having a volatile year after the split of its owners, and a message posted on Facebook indicates it may be closing up for good this weekend. If you’re in Pullman for the Halloween football game, Ferdinand’s Ice Cream Shoppe is staying open later than a typical school night — just get there before kickoff. Can't get enough? Read previous food news here.